JFK -- three letters that instantly stir feelings of hope and promise, of rousing speeches and sparked imaginations, of unbelievable tragedy and lasting consequences. Combined together, these letters form the initials of a man that stood tall on the edge of a decade that would forever shape the United States and the world. And while his life ended abruptly, the work he inspired still lives on to this day. 2017 marks the 100th anniversary of John F. Kennedy's birth in Brookline, Massachusetts. 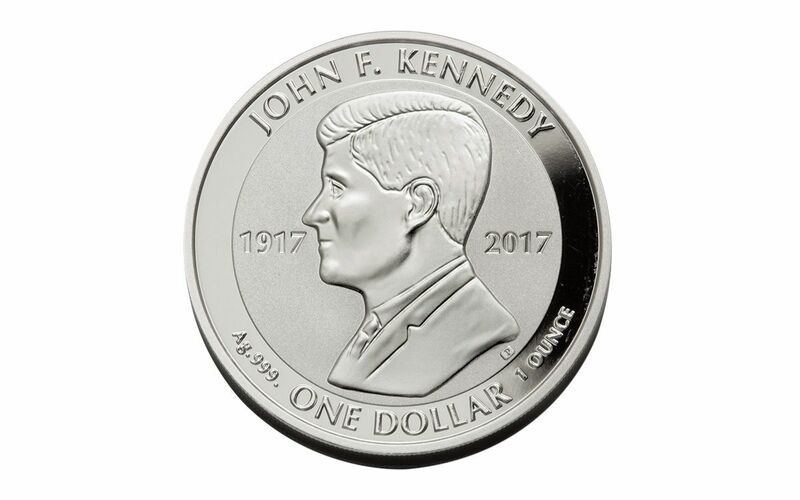 And, to commemorate and celebrate the life and work of our 35th president, the Pobjoy Mint is releasing this special $1 1-oz Silver JFK Reverse Proof. John F. Kennedy's presidency is well-known to many Americans. However, JFK's stature was established well before his time in the White House. As a Navy lieutenant in 1943, Kennedy's heroics helped save the lives of 10 crewmen when their boat, PT-109, was split in half by a Japanese destroyer -- earning him the Navy and Marine Corps Medal as well as a Purple Heart. After World War II, his career led him to Congress, first as a representative and later a senator. In 1955, Kennedy even wrote the Pulitzer Prize-winning book "Profiles in Courage" while recovering from back surgery. Five years later, Kennedy was elected president, and the rest is history . . .
A Century of Influence, Immortalized in Silver! Kennedy's time as president had a direct influence on Europe during the thick of the Cold War, so it's no surprise that the Pobjoy Mint, Europe's largest, oldest and most prestigious private mint, is behind this stunning reverse proof. Reverse proof-minted in one ounce of 99.9% pure silver -- Using polished dies and hand-selected planchets, these reverse proofs are struck multiple times to produce frosted fields and mirror-like details -- unlike the mirrored fields and frosted details of regular proofs. 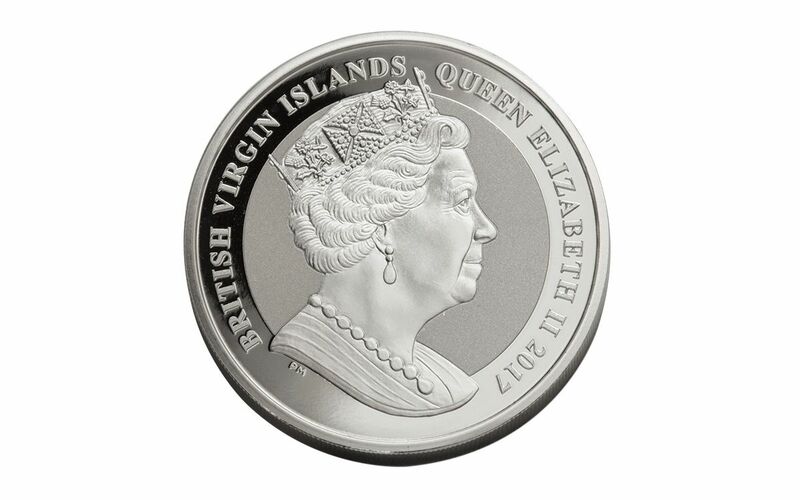 $1 British Virgin Islands legal tender that also displays the profile of Her Majesty Queen Elizabeth II on the reverse. Features the profile of John F. Kennedy in addition to dual dates of 1917 (Kennedy's birth year) and 2017 (his 100th anniversary). Part of a limited mintage of only 50,000, delivered to you in gorgeous proof condition! 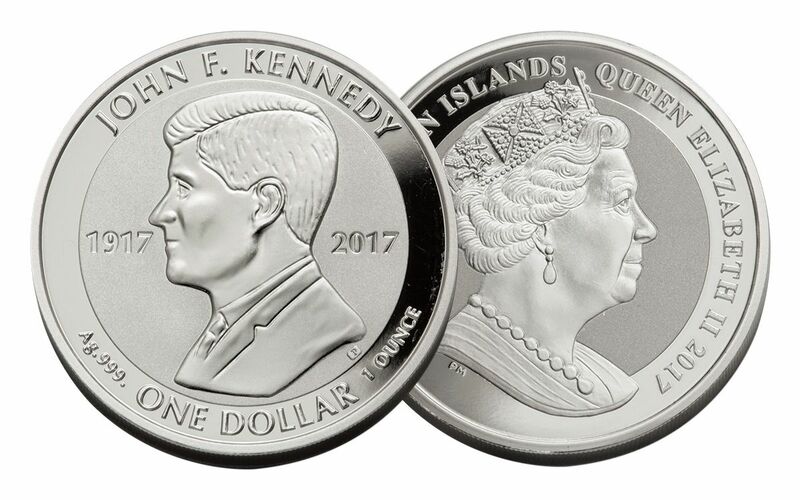 Collectors everywhere are looking for coins commemorating the anniversary of Kennedy's birth, and this 2017 1-oz Silver JFK Reverse Proof delivers! Don't miss out on this limited production coin -- order yours now!